MDC invites you to a night focused on the upcoming music producers that are shaping the industry one beat at a time! 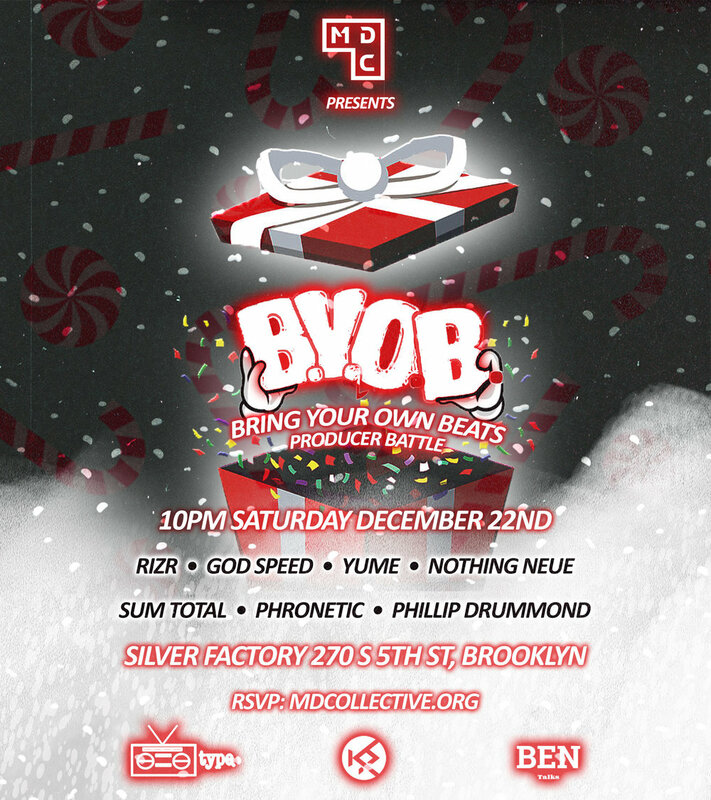 BYOB (Bring Your Own Beats) returns with 4 producers battling it out for the title! Matty Beats, 420hz, Frankliin, Chase Gibran. DJ sets by RIZR and God Speed. Live beat sets by Phronetic, Sum Total, Yume, Nothing Neue, Phillip Drummond.